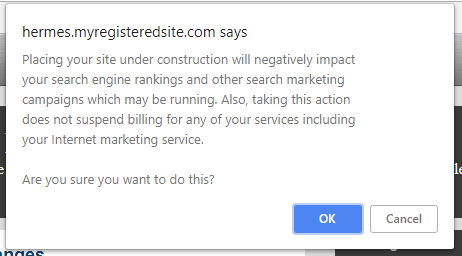 External—Web.com—How Do I Place a Site Under Construction? Step 1: Launch the website builder. Step 2: Navigate to the Overview tab. 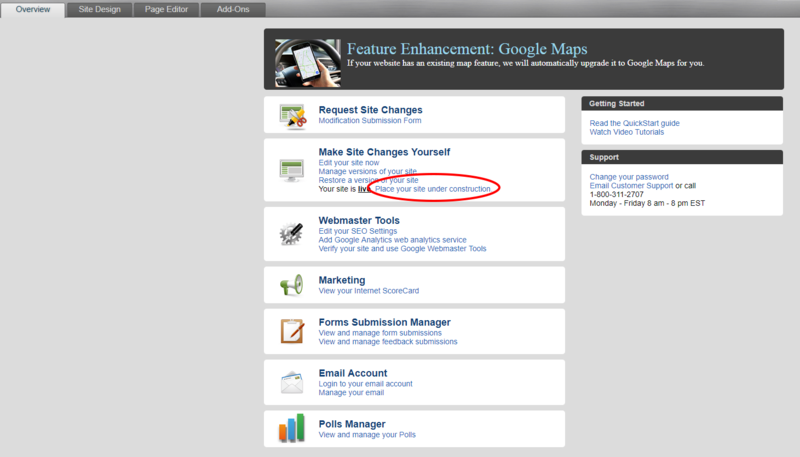 Step 3: Under “Make Site Changes Yourself” select “Place your site under construction”. Then click “OK” on the next pop up window.